In this robotic age, what are the robots of the future? Extremely intelligent and ultra-precise, they can work for hours, which allows them to make heavy work bearable and even perform hazardous work for us. We already use a lot of robots right now and others are going to be very active soon. What types of robots will it be? You will know more by reading this article and other pages on this website. I bet that you will be surprised! You do not like to cook, but you crave home-made sushi, macaroons or spaghetti of your grandmother’s recipes? Moley can do everything, including setting the plates. Even more, he learns extremely fast. For example, it has a recording mode. When preparing your favorite meal, Moley records all your movements, the ingredients you use and everything you need. And when you want to enjoy this dish later, Moley can prepare it for you. The icing on the cake: it tidies up the kitchen while you enjoy your dish. What more ?.. Moley has been world premiered at the Hannover Fair and is expected to hit the market in 2018. No information has yet filtered out for its price, but it seems obvious that this robot will not be within the reach of everyone’s purse. 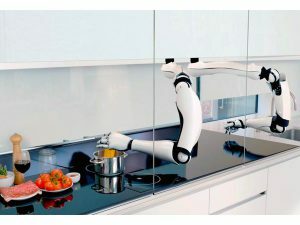 It is also possible to go beyond the simple robot by purchasing a complete Moley kitchen. Its designers have been working at it since 2014. The first fully robot-run hotel opened in Japan in the summer of 2015. Henn-na Hotel in Sasebo is owned by Huis Ten Bosch, a very Dutch-themed theme park. 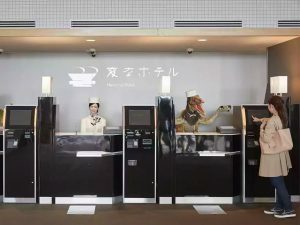 For the check-in, you have the choice between two robots: a humanoid who speaks Japanese or a robot-dino that speaks English, smartly dressed up and wearing a bow tie. This property has not usurped its nickname “Hotel Bizarre”. Once registered, your luggage goes directly to your room on an automatic trolley. The key ? You do not need it. The door opens based on facial recognition. Inside, high-tech is everywhere. You manage the light with the voice and if you want to know the weather forecast, just ask and you immediately receive the answer in the manner of Siri. In the morning, at breakfast time, you meet the robot-concierge who prepares coffee, orange juice and rolls. The reactions on sites like Booking.com and Tripadvisor are for the most part enthusiastic. Are you planning a trip to Japan? Feel free to book at Henn-na Hotel. The rooms are spacious and the price of the night is rather reasonable. The indicative price is 7,000 yen (about US$65 or 55 euros at time of writing). In Belgium too, robotics is very present. Take the example of the Louvainist technology company Octinion. 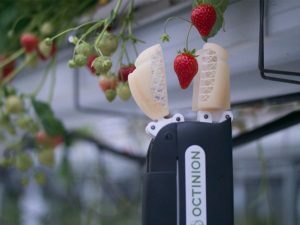 They recently developed a robot capable of picking strawberries from greenhouses. Three years of development have been necessary to achieve this result, but their work bears, literally, its fruits. This autonomous robot is equipped with a 3D printed arm with a soft rubber hand. The three cameras spot the ripe fruits and the arm then picks them before placing them in a plastic tray with its tail. The finesse of this robot is particularly remarkable. Unlike his Japanese rival, the Octinion robot does not indeed pull out the peduncle. The picking of a strawberry takes about three seconds, which puts it at the level of an experienced human picker. Strawberry producers from different countries are very enthusiastic. This robot does not need breaks and can even work at night. Moreover, he never claims holidays and the risk of burn-out is zero. Smaller producers, however, need to continue to employ seasonal workers because of the price of such an investment: between US$122,000 and US$180,000. For their part, the big producers are already dreaming of it. A prototype will be put into service at producers in Hoogstraten, Leuven, the United Kingdom and Portugal. CEO Tom Coen announces the arrival on the shelves of the first strawberries picked by a robot in 2018. Working in a supermarket, this involves regular restocking the shelves and it is not always easy. First you have to identify the missing products before you get the right products from the stock to place them on the shelf. 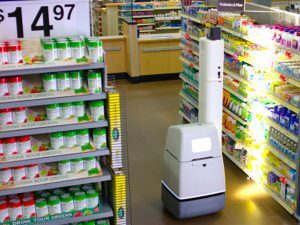 At Walmart, one of the largest chain stores in the United States, experimental robots take on these tasks. These stand-alone robots move around the store and scan inventory, spot missing labels, and misplaced products. During their patrol, they control everything. If a customer is in their path, they wait. Thanks to the image recognition technology, the robot “sees” at a glance if the number of products on the shelf is always sufficient. He can not yet restock them but sends a message to an employee who will fill the displays. The US chain does not currently plan to replace its employees with robots, but thanks to these smart scanners, staff has more time to serve customers. The medical sector is not left out concerning robots. They certainly do not have the appearance of humanoids, but they offer many benefits. 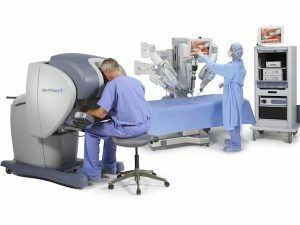 In many operating theaters, surgeons are assisted by robots. At the Onze-Lieve-Vrouw hospital in Aalst, for example, Belgian urologist Alexandre Mottrie works with the Da Vinci robot. This doctor has little contact with his patient in the operating room. He still practices the incisions, but once the arms of the robot are in place in the patient’s abdomen, the surgeon takes place behind his workstation where levers allow him to work with great precision. The robot is equipped with three instruments that he can switch over very quickly. To direct his arms, the surgeon uses pedals. In this case, robotics has several advantages, the main one being to provide the surgeon with two arms and two additional eyes. According to many doctors, this high-flying technology is still in its infancy. In the next few years (no one knows exactly how fast progress is made), some standard operations could be fully automated. This may be a concern at first, but medical errors are drastically reduced in this way. You must follow a period of re-education after an operation? A robot can help you there. 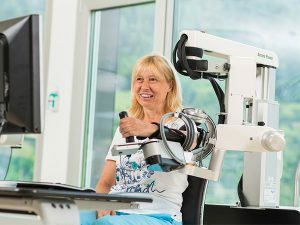 The Jessa hospital in Herk-de-Stad was last year the first Belgian revalidation center to use a robot to supervise the rehabilitation of an arm. Called Armeo Power, this robot worth 180,000 euros (about US$220,000) is a Swiss invention. This device is intended for patients with neurological lesions following stroke or cerebral infarction. The robot takes in principle the function of the arm. Once the patient’s arm or hand is controlled by the robot, the doctor can program the revalidation and the robot performs repetitive movements. Over time, the intensity increases, allowing faster rehabilitation. Thanks to this robot, the healing time can be reduced by one month. It allows the arm to get used to new movements smoothly. The exercises are extremely varied, a video game is even integrated so that it remains captivating. Patients follow a pleasant and stimulating revalidation. Robots can also be used for safety. In 2014, Microsoft was the first company to use the Knightscope K5 robot to protect its industrial estate in Silicon Valley. This heavy robot (it weighs 136 kilos / 300 ponds) is 1.5 m / 4.9 ft high and detects both noises and movements. In addition to the various cameras, it has very impressive features: it has a multitude of different sensors, is able to identify license plate numbers, identifies suspicious behavior and is equipped with four microphones. Thanks to its weather sensors, it can even inform of the risks of storm and heavy rains. An intruder is spotted? In addition to sounding a siren, it can also block the passage in narrow corridors. Today, Microsoft is no longer the only company to use K5 as a security guard as it patrols in several US companies, schools and car parks. Another well-known surveillance robot, SAM (Secure Autonomous Mobile) is also connected to an alarm system. Today, SAM is present in several distribution companies and offices. A robot can also be useful in cafes and restaurants. 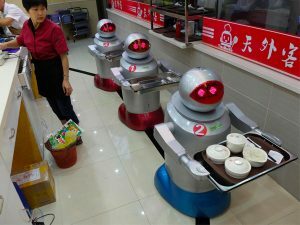 In Kunshan, China, a boss decided to replace all his servers with robots, especially because of the high cost of the catering staff. And it looks like a master stroke. This restaurant has become a real attraction. Two types of robots are in service. A first type performs fixed tasks, while the others are mobile and move throughout the establishment. These friendly humanoids serve among other noodles, rice dishes, loempias and dumplings at the right table. You even meet some in the kitchen where they perform simple tasks such as mixing, beating or stirring. However, they still need the help of human cooks. The restaurant owner has kept 6 out of 20 original employees at his service. Some customers complain a little about the slow service though, because of the children that are indeed very attached to the robots and want to cuddle them constantly. Can we do even more crazy? In Dubai, the first tests of robot police officers are underway. 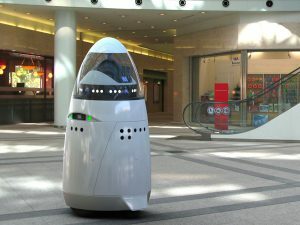 These robocops are self-contained and can provide surveillance for busy places like shopping malls, amusement parks and tourist attractions. The different cameras that equip these robot agents are connected to the command center. In the future, they could even be equipped with facial recognition software. But these digital policemen can do more than just watch. They are equipped with a touch screen and are able to speak. Currently they only speak English and Arabic, but Russian, Spanish, French and Chinese should follow. Although recently introduced, engineers are already working on the successor of this robot. This robocop 2.0 is expected to hit the market in two years. It will measure nearly 3 meters / 10 feet high and can reach the speed of 80 kilometers per hour, or 50 miles per hour! 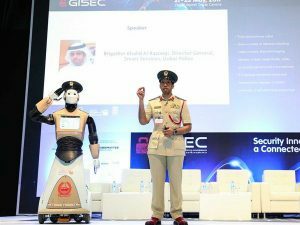 The Dubai government believes deeply in these policemen of the future and by 2030, their police force could count not less than 25% of these robotic agents. Unlike humans, they do not grow old, always stay young, beautiful, resilient, healthy and even become smarter! Humanoid robots are no longer science fiction! Japan is today at the forefront of robotics with creations that almost exceed science fiction stories. The country, whose population is declining – the number of deaths being higher than that of births – must find solutions to deal with the problems of aging. The creation of robots capable of replacing human tasks seems to be a solution, especially since in the land of the rising sun, they are perceived as friendly beings, partners and even companions. More and more Japanese factories are equipping themselves with humanoid robots to perform assembly tasks on assembly lines. They may be the size of a human, have several vision sensors on the head and arms, move on wheels and have flexible arms that can support required loads. Compared to the old robots already used in factories, these humanoid robots have the advantage of carrying out more diverse tasks, of being more precise in their work and of being able to work in a team. And of course, just like the first generations of robots, they can work day, night, weekend, without taking any break or leave! And guess what?.. They can’t go on strike! To overcome the lack of staff in hospitals, HOSPI robots are tested in a hospital in Osaka. These 120 kg / 265 lbs robots measure 1.3 meters / 4.3 feet, have a screen for face and a very massive body that can store drugs. Mounted on wheels, they move easily in the corridors and rooms of the hospital and are mainly used to bring the drugs to the nurses, at the exact times when patients must take them. Even more incredible, robotic professor Hiroshi Ishiguro creates humanoid robots that look like humans in a troubling way. The robot women he has developed are particularly striking, as they seem more real than life by their physics and their reactions. They are destined to become hostess or TV presenter. This teacher has even created his twin robot that he will one day send to his place in meetings. His idea is to remotely control the actions of a robot that looks like us, without having to move! In the coming years, robots will invade our daily lives: we already find robot vacuum cleaners able to clean surfaces by avoiding obstacles; Robots of windows or floors, robots that purify the air and aspire pollutions and bad smells, the electric slow cookers that can be set to start cooking at a certain time and cook at a set temperature for a number of hours. They will also become companions to liven up the lives of seniors and children! The little ones will be able to play and communicate with smart robot toys, which once connected to a smartphone, will be able to read stories, embody characters by changing their voices, or engage in a real conversation. As for you, the greatest who read this article, you can already make your own robots with Lego Mindstorms and introduce you to robotics and programming. The first industrial robots date back to 1961. They were designed to support repetitive tasks on factory assembly lines. Then, other robots were created for the needs of astronautics, medicine, the army and in recent years, for home use. They can perform one or more tasks such as, vacuuming, serving or playing football, but are not able to do anything for which they have not been programmed. This is why research is increasingly interested in artificial intelligence techniques that could give them the ability to learn and improve their behavior. 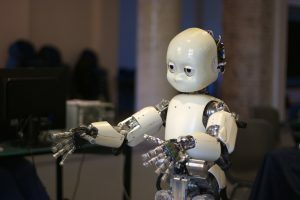 In Paris, researchers from the Institute of Intelligent Systems and Robotics created the Icub robot, drawing their inspiration on learning skills in children. He is able to learn as a little human child: he has teachers who enrich his learning faculties by himself and teach him to follow an object of the eye, to catch it, to touch it, etc. It is not a question of programming it to perform an action, but to program it so that it can find the solution by itself. The robot no longer only responds to a pre-programmed action, but has the power to adapt and cope with new situations by memorizing his actions and learning from his mistakes. And that’s where all his intelligence lies! And you in all this? What do you think of a company where hostesses, TV presenters, vendors, caregivers and the elderly would be robots? Can you imagine a world where humanoid robots would be so close to humans by their physical resemblance, their intelligence, their emotions, that the boundary between humans and machines would become difficult to perceive? If you have any comments, please feel free to share your thoughts with us at the bottom of this page. Today, domestic robots are mostly used for housekeeping and maintenance. These personal robots autonomously perform their tasks in the home or, for more advanced robots. They have a direct relationship with the occupants, without requiring additional remote services to perform these tasks and basic tasks. 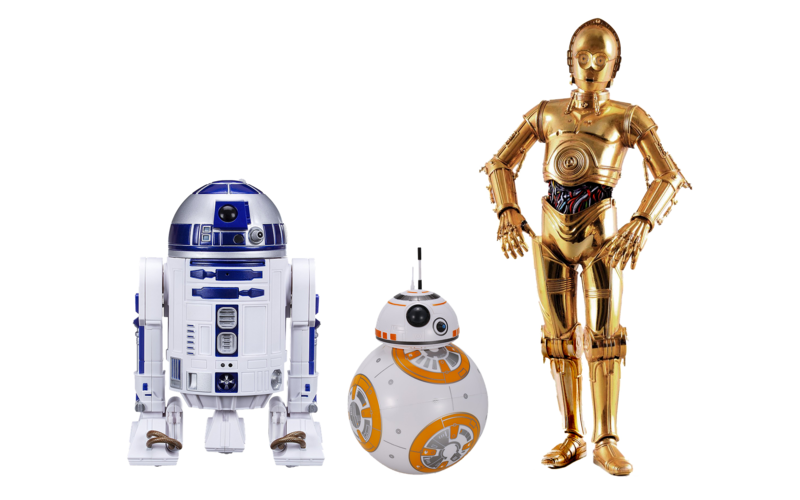 Throughout history, humans have invented and built three types of robots that reveal considerable technological progress from the end of the 20th century to the present day. They are, unlike automata, equipped with temperature sensors, photo-electronics, ultrasound, which allows them to be more autonomous, efficient and perform more complex actions. The first robot for domestic use of this type is the famous robot vacuum launched almost 14 years ago by the American company Irobot and its famous Roomba. It didn’t look at all as the latest model pictured below. But, already, it could avoid obstacles and follow a path. The lawnmowers, which appeared in 2011, were used in gardens and golf courses as early as the spring of 2012. A window cleaner robot also arrived on the market in 2012. These robots, capable of performing heavy household chores, have effectively replaced humans in the home. Their main asset is their ability to adapt to their environment. These robots complements household have had a relatively high cost but are becoming more and more accessible to most households. Robots of the last type have an intelligence called “artificial” and based on models such as neural networks. It is mainly the degree of complexity of the situations they are able to analyze and the decisions they make that differentiate them from their predecessors. Indeed, they rely on learning from their mistakes as can the human being. However, we must not understand that they have an intelligence superior or equal to that of the man because they do not have the same faculty of adaptation and decision making. Nevertheless some are very successful like Mahru-Z, the humanoid robot created by the Korean scientists from the Korea institute of science and technology (Kist) able to clean the house, put the laundry in the washing machine and even heat the dishes in the microwave. Mahru-Z can autonomously identify different objects to estimate the work that needs to be done. The Robotic Age is here! The war effort during 1940-45 led to an unprecedented acceleration of technological developments, particularly in the United States, of which we are still indebted. We are indebted to it, because it was at this time and just after the war that a panoply of tools and components constantly improved allowed to design machines more and more sophisticated, diversified and reliable. 1 – First and foremost, as a tool for the automation of previously manual tasks; hence a source of profit in the industry. 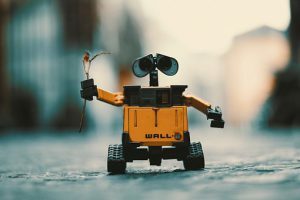 This latter motivation explains the success of industrial robotics whose flourishing occurred in the 1980s with a kind of completion in the major innovations around 1990. 2 – On the other hand as the starting point of a machine of the future widely evoked by science fiction, which would find its fulfillment in a kind of artificial man. This vision was that of a category of researchers with a dual motivation; to meet a scientific challenge, and also to try to satisfy a seemingly universal human dream; to have slaves effectively removing all concerns in the performance of daily or professional tasks. We know that today, half a century after the first attempts, that this dream must be very small in its ambitions but that it can be partially realized. Remember that we roughly mean by robot a material machine that can act intelligently on its physical environment. After the so-called industrial robots that are stationary and can therefore behave satisfactorily as near-blind, since it is possible to prepare this environment in advance, (whether static or obeying a dynamic identified as modeled), the robot of today must be mobile, because, after its use in the context of production, we want to use it, in short, in the service in the broadest sense. – To go where ? The environment, at every moment, is changing. And the only interesting applications are those where this environment is not known with all the details that were garnered in advance for a fixed robot. Successful mobility in an environmental context with little or no development requires permanent identification of the terrain; identification of a goal; detection and circumvention of obstacles etc … beyond the means of locomotion and propulsion that must be selected. In other words, we cannot, for example, make a mobile robot crisscross the countryside without associating it, on the one hand with the appropriate means of progression, and on the other, imperatively, with a system of perception and a system of understanding the environment allowing it to choose its route according to its means of locomotion. We understand that the problem posed by the mobile robot has nothing to do with that of the fixed robot. And this problem has for the moment only inefficient and very limited solutions. We are talking about terrestrial robots here; in water or air or space, the three-dimensional homogeneity of the environment makes things much easier. However, the problem arises if the goal goes beyond the sole objective of moving knowing where one is. When one wants to carry out actions on the environment once it has arrived at the workplace. It comes from the fact that, except for observation or surveillance, a robot that can only walk is of little interest. It must therefore reach the ad hoc place and work on it. This is another class of understanding of the environment and understanding of tasks, which should lead to the ability of using tools. Which must therefore be adequate to perform the tasks that it has been asked to do. This class of problems is not better resolved than the first mentioned above. We take the example of a robot sent in the land but this applies everywhere as soon as a complete description of the environment does not exist. Is or cannot be delivered to the robot in advance, this is the general case. First of all, remember that the goal of the user is first and foremost to solve his problem; that is to say, to succeed in performing the tasks that he has to perform. For that he is determined to take any means that leads to success. Especially machines that we can call, or not, robots but who will have to satisfy us. Moreover, the user has a particular identified need. He will not be interested in a machine known to be “universal”! But to the one that will find solutions to his problems. Thus, for a known problem (the recovery of a dangerous object in a city, the intervention in a specific nuclear power plant, etc …) one imagines particular machines whose morphology, the mode of locomotion, the tooling, the dimensions, etc … satisfy the imperative constraints of a particular specification. We will have a dedicated robot, little or not adapted, to do something other than what it was built for. And this in an environment also largely determined in advance. Moreover, we will not be able to make it totally autonomous if, as is always the case in reality, unforeseen elements or situations arise during its travels or during the execution of its task. It will then be necessary to control or guide it either permanently or at intervals so that it gives satisfaction. This is the principle of remote operation that will raise new problems. The human pilot must be remotely aware of the situation to affect the proper command. Consequently, the design of a robot by the immediate need, always peculiar, encourages to make special machines (that we can still call “robots”) in opposition to the principles that can guide the design of a robot relatively general or somewhat universal. As we do not yet know how to make a universal robot, everything pushes economically to not conceive since nothing to date can guarantee its usefulness and effectiveness and all guarantees an exorbitant cost. Previous specialized robots, it should be noted, all have the same functionalities: locomotion, manipulation, perception, communication with humans. But, firstly, their physical conformation allows them only limited physical actions in constrained environments (this capacity is called dexterity). On the other hand, their “brain” also allows them only mental actions that are also very limited and insufficient since the man must guide them essentially . The basic question for the researcher or designer is: can we improve the physical conformation and mental autonomy? So that all these machines can be replaced by one (in the same range of efforts to develop)? Or a single class? This machine would then have an interesting level of universality in service applications to replace the man. As has been said in the introduction, efforts have been made in this direction since the origin of robotics by a category of researchers without success. Why ? Consequently, the analysis of locomotions of living beings must be made to build mechanisms that can imitate them properly. These studies, for robotics, began only a few years ago with the exception of very few precursors. On the one hand, we note that the variety of locomotive systems is very large. That they cannot function without control of the interactions with the ground (via very numerous sensors arranged everywhere on the system). And that the locomotion is a dynamic and non-kinematic phenomenon (as are almost all artificial locomotion systems). It may be thought that within a few short years this problem will have found the answer; especially in regards to human locomotion which, beyond walking and then running, shows an ability to crawl. And to climb with the help of hands, which then become part of locomotion. It is clear that if one knew how to make a machine with a locomotion system as efficient as that of an animal or that of the man, the difficulty of introducing mobile robots anywhere as part of services would be greatly reduced. This feature is a part of all the properties that are classified in the intelligence of the robot or in its capacity for behavioral autonomy. Assuming the musculoskeletal system performed satisfactorily, the robot must know where it is. Where it is heading, and moreover, adapt its movement to the terrain and the obstacles. In remote operation it is the man who knows all that and is the guide. This is a second essential problem that has not been correctly solved in its generality despite considerable work for a long time. Its solution involves three things: the existence of a system for collecting information on the environment. Relevant information, that is to say in relation to what the robot must do, or perception system, the prior knowledge of this environment that can only be realized by learning (or self-learning). Finally the actual recognition that will be done by comparison between the information that the robot takes and those it has already acquired. This last phase makes it possible to conclude by a decision of action of displacement adequate to the progress towards the goal sought (which must therefore also be known or identified). All of this is currently feasible in known limited environments (eg inside a building). But launching a robot in nature (assuming that the problem of locomotion is solved) is not possible. At least without great risk because the references to be garnered in the learning are enormous. They are still poorly defined and the recognition not assured and certainly long. One will only be a few steps every ten minutes for example to locate an order of magnitude. It is now assumed that the two previous problems are solved. So we have a machine that can “walk” suitably everywhere we want and especially in nature. This is already a great success but the applications remain limited to those compatible with a kind of platform that can move. We also want the robot to do work, environmental modifications in specific locations. To bring an object, make a hole, cut a pipe, plant a shrub, etc. The completion of any task requires the presence of suitable tools used skillfully. That is to say in a succession of gestures with precise specifications in terms of position, orientation and strength. Gestures can only be achieved by articulated structures that evoke arms. These arms must be linked to the right tool during use. And a job may require the succession of several tools. Thus, the structure that can cope with a wide variety of tasks is that of arms ending in something that can properly grasp any tool or object (in a certain range of dimensions and weight). Like a clamp sophisticated that evokes a human hand. But the execution of the ad hoc gestures by an arm-hand system supposes the local recognition of the environment including the identification of the point of support of the tool as well as the appreciation of all the distances and orientations for a good positioning of this tool. In addition, since the tool acts only through the application of forces, a control of the support force is necessary. For a successful use as well as the identification of the start and stop times of the maneuver. Moreover, most often, the object on which one acts must be maintained correctly. Which makes it necessary to think of the presence of at least two arm-hand systems with identical or complementary vocation. Thus, the problem of manipulation cannot be separated from that of locomotion; the necessary understanding of the environment to act presents a conceptual; the implementation difficulty certainly higher than that required for locomotion. It is now assumed that there is a mobile platform surmounted by an arm-hand system satisfying satisfactorily the requirements set out in the preceding paragraphs. We do not know how it really looks, except that the system has paws and arms with a hand. That it includes a little bit of environment in order to move. That it acts according to a potential user’s wishes. It is likely that this machine cannot be used satisfactorily without additional work. Indeed, it is necessary to know how the desiderata of the man will be transmitted to it for it to understand them. And, on the other hand, it is necessary to know which actions the machine is able to execute in an autonomous way once received the command instruction. We understand that a global instruction like “sawing the big branch of the apple tree located in the corner of the field” must generate an extremely large number of successive and more “simple” actions, of the “move towards …” or “turn to left “or” seize the saw “etc. which, themselves, are decomposed into “elementary” actions. Involving small gestures or coordinated variations of the articulations of the machine. Thus, it is almost certain that the robot will not be able to directly understand an action command too global like the one quoted above. On the contrary, a command to a too “elemental” level will lead to an execution of the global action in prohibitive times. Very demanding for the operator. It’s a bit like what happens in space remote operation. It is therefore first necessary to be able to communicate with the operator in a form of dialogue. Then to carefully choose the level of complexity of an action that is ordered. Finally to teach the robot to become more competent. Here again, the literature on these topics is abundant, but its real and effective use still poses many challenges. By quickly analyzing the above, it can be seen that, in the absence of any deliberate will, the robot is required to have characteristics of the human being. Both in his general morphology and in his capacities of reflection and obedience to instructions. For morphology, only monkeys among animals have different kinds of hands; and with regard to obedience to instructions, the training of animals shows its limits. This is probably why a tendency of robotics is to move towards the creation of humanoids. But another reason seems to motivate research on these robots. This is because the operator of the robot looks for an assistant or a partner. It must look like him from the point of view of dexterity (morphological and kinematic capacity to do the same actions as the man). From the point of view of his behavior or its physical and mental reactions, even if the operator accepts in both cases a certain limitation in relation to himself. 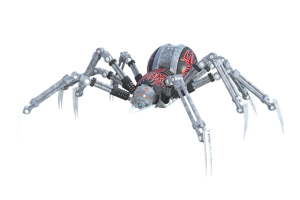 Of course, we can design robots a little monstrous with for example the locomotor system of a spider and the arms and torso of a humanoid. In fact, any machine solving the four classes of problems mentioned above can be a “good” robot. But to the extent that viable solutions to these problems have not yet been identified, why not try to solve them via humanoids? We know that in case of success the market is there whereas with robots a little “monstrous” it could be more lukewarm. 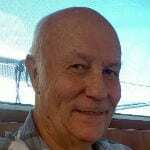 When will we see humanoids in the street or at home? This question, which seems completely natural to ask by someone who wishes to be informed, is for the specialists a trick question. Eliminate problems of an economic nature that can accelerate or slow the exit of a product. Let’s limit ourselves to the scientific aspect. In an attempt to answer the question, let’s take an example. We have the ability today to put a humanoid at a crossroads to monitor traffic lights and make appropriate gestures and steps to regulate car traffic. It is enough to analyze the work required to realize that all the ingredients to understand the traffic and the lights and to move in a small space are mastered. But such a robot does not yet represent an economic advantage. Moreover in case of accident, a driver will not fail to attribute to the robot the fault. But who will take responsibility? Legislation has not yet taken hold of this type of problem. 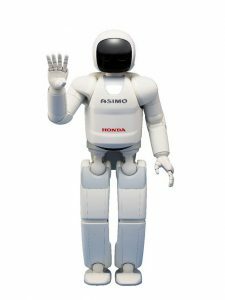 Similarly, we are starting to see small robots for which the designer has insisted on the playful and friendly (QRIO, ASIMO). But they cannot go get a broom, a cloth or a plate in a closet! So, who is going to do the cleaning then? Starting from these two examples, we could say that humanoid robots could make a breakthrough tomorrow morning. In fact, researchers believe they are about to get there. This belief is every day more credible. But also two real facts are to be taken into account: on the one hand the research and interest for humanoids are growing. On the other hand, the ambition displayed is absolutely not to make an artificial man in all his physical and intellectual fullness. The ambition is only an imitation of a certain physical and mental competence of the man. Sufficient to render real services of the everyday and professional life. The humanoid should not be made to replace the man but to assist him. Thus, one may think that one is “about” to witness an invasion of humanoids, but the “reality” can go from a few months to a few years or to a lifetime. We will be surprised anyway when it happens, and it might take us by surprise. Why do humanoid robots seem to be studied only in Japan? If the Japanese are precursors in the field (we can remember for example the robot organ player deciphering in real time a “normal” score and interpreting with his hands, made by the team of Ichiro Kato at the Waseda University of Tokyo and shown at the Tsukuba World Expo in 1985), and if sociologists attribute this Japanese attraction to robots to cultural factors, they are no longer the only ones to date working on this subject. On which leans at least academic teams from all so-called developed countries. Compared to other developed countries, in Japan, two major factors other than cultural seem to favor Japan’s advance. On the one hand industrialists and not the least (Sony, Honda, NTT and a dozen others at least) devote a significant budget in the medium to long-term hope of being the first to flood the market with products. In addition, the basic research on the subject is particularly well funded by the country’s authorities such as METI and universities. In the US, it seems that few manufacturers are directly involved. On the other hand, many universities and institutes are at the forefront and well funded for this. In France, the skills are not lacking. Manufacturers, perhaps with the exception of the defense sector, find that the subject will yield fruit too long to invest. As for public research, a dozen laboratories can claim a high qualification. Unfortunately, there is not a penny made available for this research. this requires an investment of one million euros at the start to face modestly in a given team. Researchers with strong vocation are therefore reduced to expatriation. The goal of robotics, as we have said, is the assistance to man; through the performance of physical tasks performed more or less autonomously by machines. 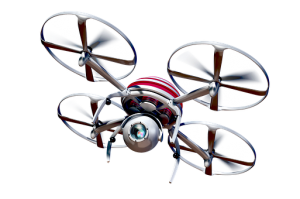 We already know that drones are more and more becoming a way of transport not only for goods, as Amazon is planning to deliver their orders in a not to far future, but also to transport people. Other tools that have been in use for quite a while, as a hobby and to assist certain professions in performing their duties, is the metal detector. If the humanoid as such is a great path to progress towards the goal; all robotics cannot be humanoids taken individually. In nature we find that groups of animals, especially insects, intelligently transform their environment in order to survive by reproduction and individually. While they have as brain only a few cells unable to produce the slightest reflection. In fact, their innate behavior is reflex-guided group behavior through interactions between individuals and the environment. The swarm works much like a huge adaptive automaton. Researchers are trying to understand these systems and build teams of “animates” to unravel the mysteries that, well deciphered could be very useful to lead teams of robots. Evolved or not, uniting to achieve a goal not achievable by a single individual. By definition, humanoids or animaloids have dimensions compatible with what man expects from another man or animal. But needs also appear of very small robots able for example to be introduced without damage into a human body. To go into the bloodstream to bring a certain drug or do such a small action without resorting to surgery. These microbots can be as interesting in computers where they could go to set up tiny spare parts. Or even modify the electronic circuits wisely. A microrobot can be manufactured as an integrated circuit by cutting into the mass a rotor and a motor stator, and all the organs including the manipulation tool necessary for the constitution of a robot. This is a field that has taken shape as and when the control of integrated circuits and is very active without knowing. Again, when the control of the subject can lead to industrial products. Just as one speaks for prehistoric times of the Stone Age, the Iron Age, going through the Industrial Age, then the Computer Age, we are now arriving to the Robotic Age. The robot is a means of automating physical tasks which, to get there, is obliged to perform mental tasks. This era of automation and robotics has not said its last word, it’s obvious. For example, a half-century ago, the discipline “automatic” was emerging; automation was seen as the implementation of processes without human intervention; in the 1970s there was much talk of factories without men. Today it has been understood that the desirable automation encompasses a large part of the problem of human relations and interactions with machines. Which constitutes a reversal of the trend and the emergence of a new problem, quite apparent in this respect. Which concerns the modern design of advanced robots. While unrolling the short history of automation, we realize that robots are are coming. That we will imperatively go through the stage of the humanoids described in this article. Precursory signs are sensitive. But to give a date of the generalization of these machines is still the knowledge of the fortune tellers. This website is forever a work in progress as my goal is to provide you with the best reviews of the products as they become available. So make sure to bookmark it so that you come back often! Hopefully you enjoyed reading this page and found this website useful for selecting the right products for your pleasure or profession. My readers and I would love to hear from you and if you have anything to share, or have any questions, just use the box below and someone will respond as soon as possible. If you found this guide helpful make sure to share it socially and write a comment below, I will be most grateful!